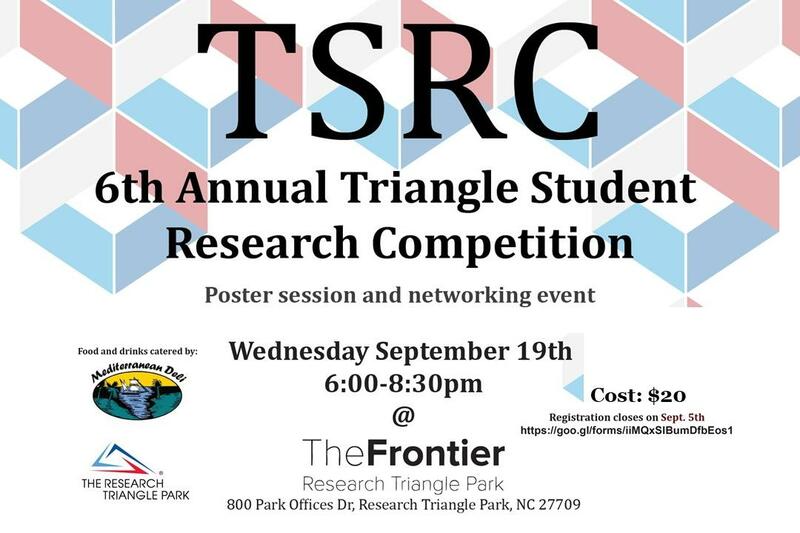 Please join us for the 6th annual Triangle Student Research Competition on September, 19th at The Frontier in RTP. TSRC is a poster presentation competition for students from Duke, NCSU, and UNC to showcase and share their research with one another. Each poster will be judged by three judges and door prizes, category prizes, and a grand prize will be awarded. Please consider applying to present a poster by filling out the form below. Registration closes on September 5th.